Posted October 30, 2018 by Cultbox News & filed under Headlines, News. 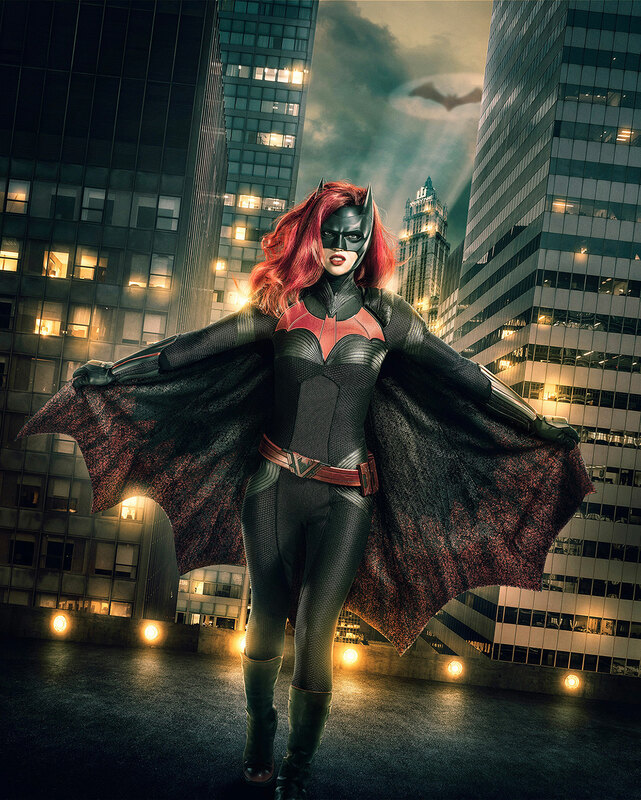 The CW has released another image of Ruby Rose as Batwoman, who will debut in the Arrowverse as part of the winter crossover between Arrow, The Flash and Supergirl. Rose has previously been seen in John Wick 2, Orange Is The New Black, The Meg and many more high profile projects. Her take on Batwoman will be an out lesbian that operates as a vigilante in Gotham City. It’s certainly a comics-respecting look, right down to the red wig, which is used to conceal Kate Kane’s identity. It’s also a marked difference from most of the other CW superhero costumes, many of which have a shiny leather sheen. The crossover, which won’t include the Legends Of Tomorrow team, is titled Elseworlds. This title refers to an imprint of DC Comics where out-of-continuity stories can take place, often in different dimensions to the core DC universe. If the crossover does well, it seems inevitable that Ruby Rose will be gifted her own series on The CW. We’ll just have to wait and see, though. The crossover event will begin on The CW on Sunday 9th December. Sky One’s UK broadcasts are generally a week later.